Susan made this tree by carving balsa wood and adding a little basswood for decoration. In her own words "These are my latest creations out of the balsa I bought from you. I have combined balsa with basswood. Then I wood-burned all the bark and hair on the dog into the wood. 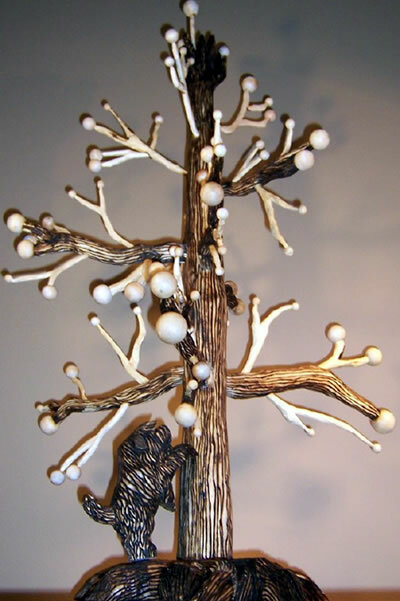 The lighter branches and round balls are basswood, but the rest of these carvings are out of your balsa.